It’s crazy, there is a ton of old weird film out there: recans, expired, and just plain ancient film for sale on ebay. You just never know what is going to show up. In this video I explore the idea a little bit. What’s the oldest film you have tried out, and what was the result? I rarely go out shooting with a light meter, I usually just use the sunny 16 rule and “go with it”. I had an earlier question about using the Sunny 16 rule, so I did a quick video that give you a run down. Sometimes you have the tool but you don’t know what job it’s for. In this video I come up with 7 ways you could use 16mm. Do you have any other ideas? I would love to hear them. 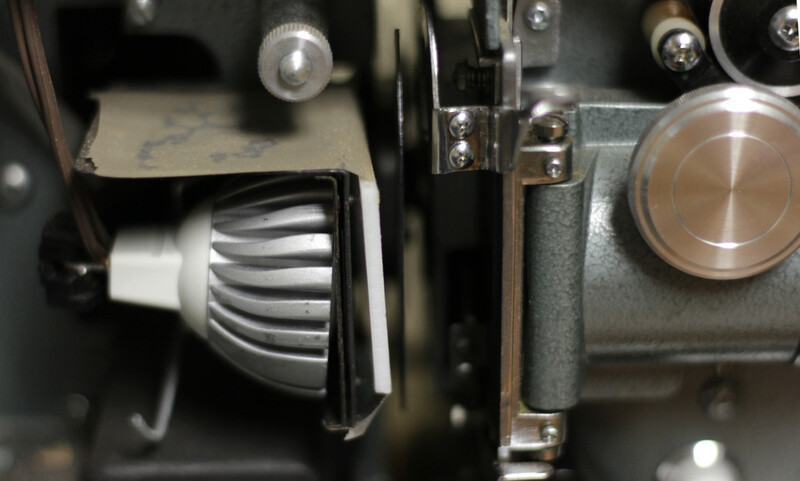 I had a great question on the Youtube channel, “Why would you ever want to hand develop your 16mm film instead of just sending it out to be professionally processed?”. For me it comes down to a few very basic ideas. I like doing stuff my self even if the product is not as good. I am a cheap skate. I don’t want to waste money on old outdated film. I like the results which would be difficult to get with a professional lab. There are probably more that I just can’t come up with right now. I explain it more in depth in the short video below. After a lengthy hiatus I am waking this blog and the associated Youtube Channel back up. Here is the new channel trailer for the youtube channel. I have been asked to further expand on my telecine setup, but I have put it off until now because it’s a bit messy. Again I will confess, I am a cheapskate and I wanted to edit my 16mm in my computer without spending $.15 a foot or more. My little 3 minute Child’s Summer short used about 20 100′ rolls so just that project would total $300 for commercial telecine services. 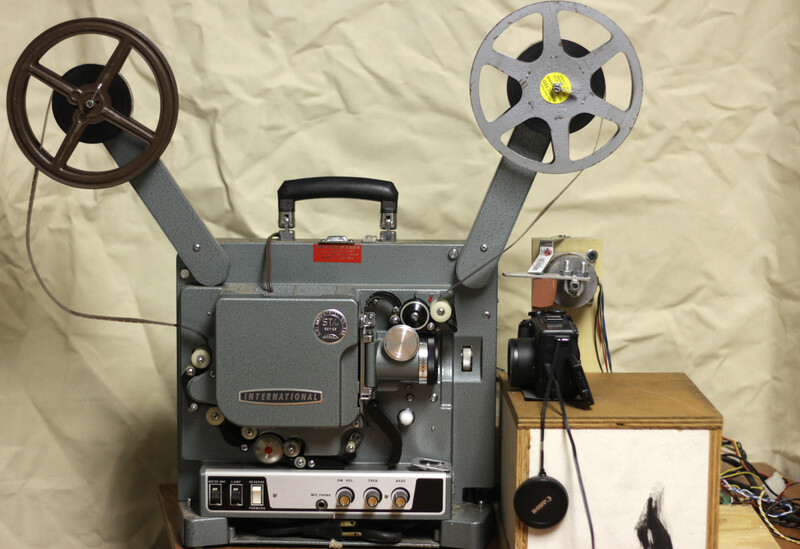 I toyed with the idea of creating my own rig to hold the film and move it one frames at a time, but after one test rig I gave up and decided to retrofit an existing projector. A friend had lent me an old Eiki ST/M and that seemed the best candidate. Advance film one frame at a time. Sense the proper time to trigger capture. New light source that won’t burn the film. 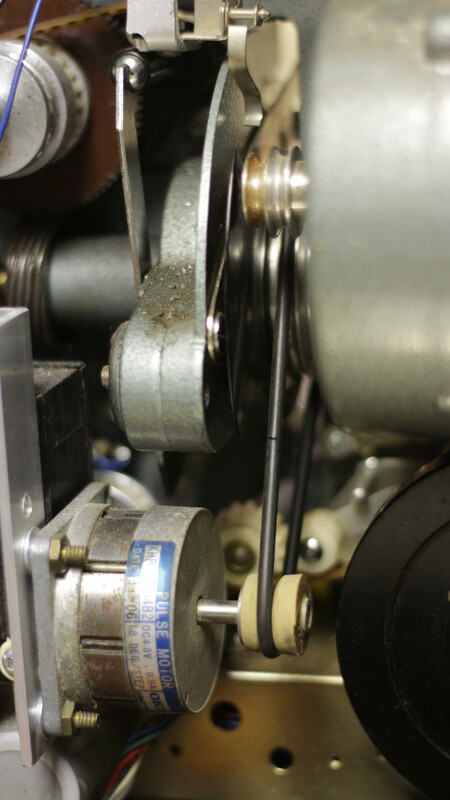 I bolted a heavy stepper motor on the projector where it would align with the pulley on the shutter and found a belt that would stretch tight. I also bolted on a micro switch that would interact with the outer edge of the shutter, this senses the proper time to capture the frame. I also remove the bulb and place an LED light into the spot along with an opaque plexiglass panel to create a flat white light source. I would have like to use a DSLR camera for the capture but they fail the first two critera on the list. The problem of shutter life was really the clincher, any used DSLR cheap enough for this project would already be too close to shutter death. I am currently using a used Canon G5 camera and it has worked well for over 120,000 frames so far. The G5 has one major flaw for this project and that was no remote shutter release. Aaarrrrg. It would have made it so easy. 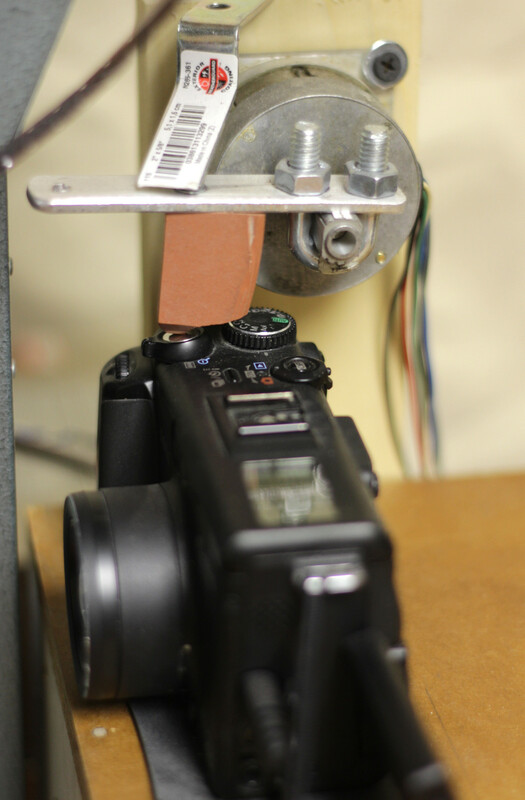 Anyway I had to create a simple jig to hold the camera and a stepper motor with padded lever to depress the button. I guess when the button wears out I will either find a new camera or dig into this one and try to wire around it. 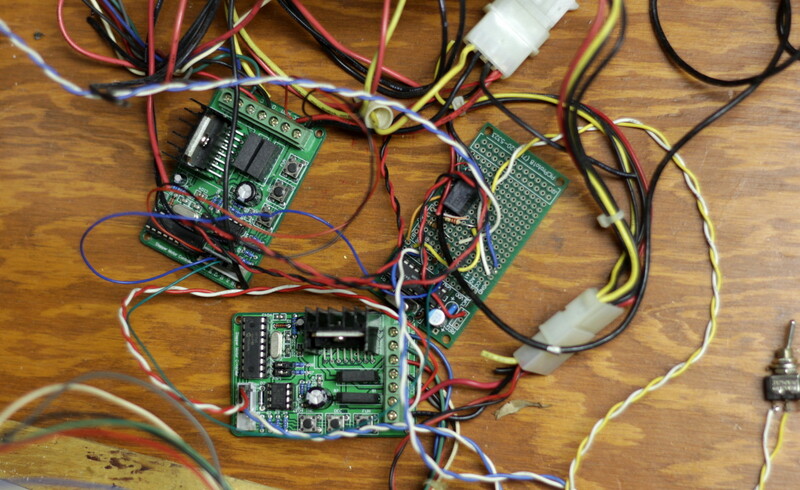 To run the various steppers I have a couple of inexpensive stepper motor controllers and I programmed a simple microcontroller to sense the switch and tell the stepper motor controllers when to run. I also added a simple switch to tell the brain when to stop loading the film and to start capturing images. After the controller captures 4000 images or about 100′ of film it shuts down. The whole thing is powered by an ancient recycled computer power supply. I have some ideas for future additions, but I really don’t know if I will ever get around to it. How about a puff of air to clear the dust just before capture. I could enclose the whole thing and make it look professional. I could enhance the interface to capture an adjustable number of frames. A newer camera would probably give me more pixels and recover faster when taking a picture. This could not go too much faster before outrunning the camera. Here is a quick video so you can see it working.